How does a herbalife diet work ? The herbalife system is very easy to follow and very effective. There are 3 key elements to a Herbalife Plan. Optionally – snacks, boosters, vitamins.. Step 1. Start with a shake.. The herbalife diet system is based on meal replacement. A herbalife diet really is as simple as that ! . 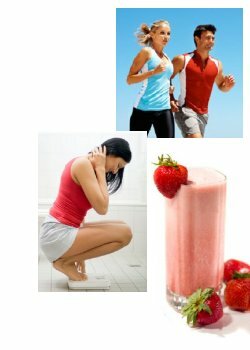 Why do the shakes work ?…. Because they are calorie controlled, very easy to make & taste great ! The shakes combine complex carbohydrates with lean protein and nutrients which can keep you going for longer without feeling the need to snack. For a more detailed explanations as to why they are so effective for weight loss have a look at the daily meal plan. The first decision is which meal replacement shake to use. The formula 1 is the most popular, but they all taste great and can be blended very quickly and simply with milk, soya milk, juice or water. Or for variety you can make them ‘more interesting’, there are lots of recipes and step by step videos in our resource centre. We will advise you how much protein to add based on your own unique circumstances. The reason for adding protein is that right amount of protein helps prevent hunger between meals, in addition the right level of protein is important for your muscles and health. Protein Snacks– Designed to go with the diet such as Bars, Beans, Soup.. Boosters – To help your results by boosting energy, help metabolism.. Extra Vitamins – One of our most popular products, because the ‘healthier’ you are.. There are a variety of extra’s you can add to your diet plan. For example there are protein snacks or products to help boost energy. Simply add what you would like based on your own circumstances & objectives.